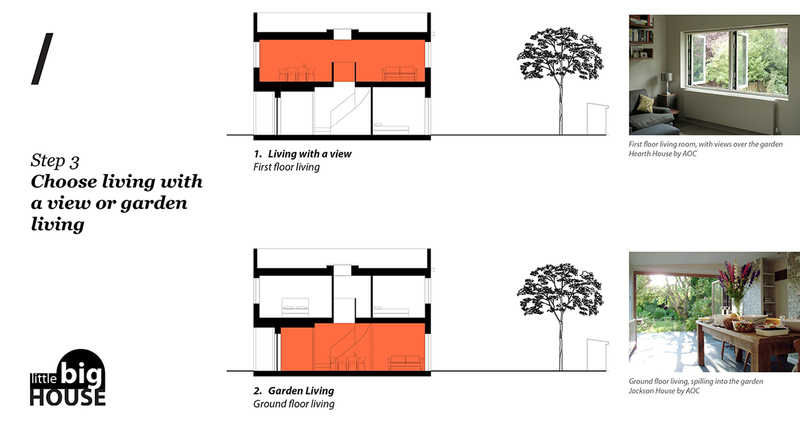 A littleBig house allows you to have a home individually customised to the way you want to live. 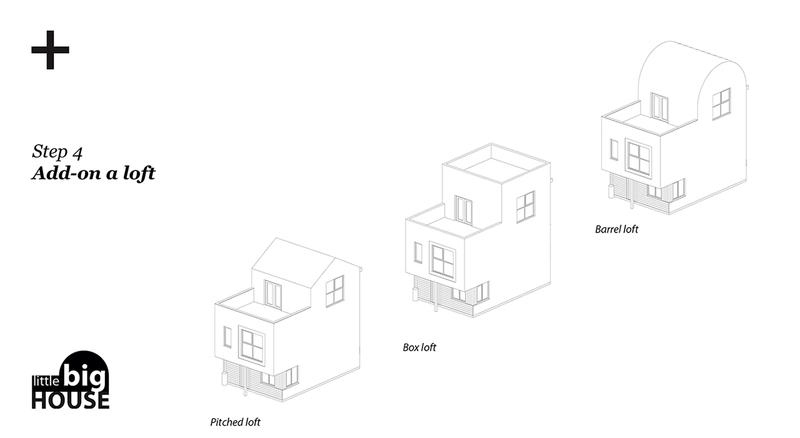 The starting point is the ‘essential’ house. This two storey home provides a number of ways to customise your home at no additional cost. 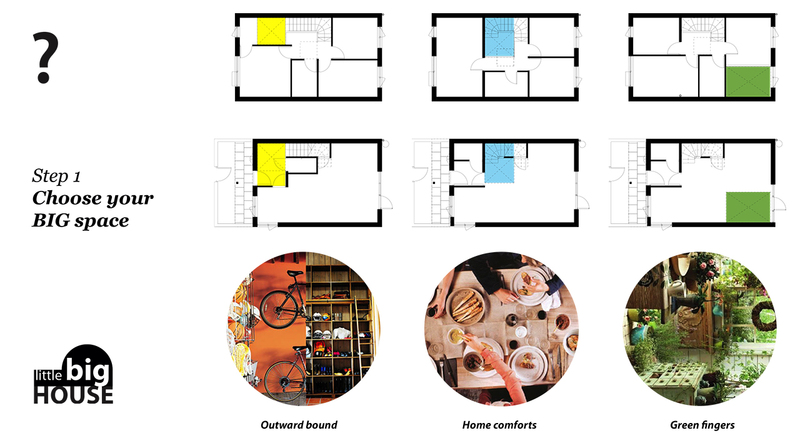 The littleBIG concept is about giving you spaces which feel big and special. We have developed three different designs for putting a double height space into your home. Your first decision is to choose the approach that most suits how you want to live. 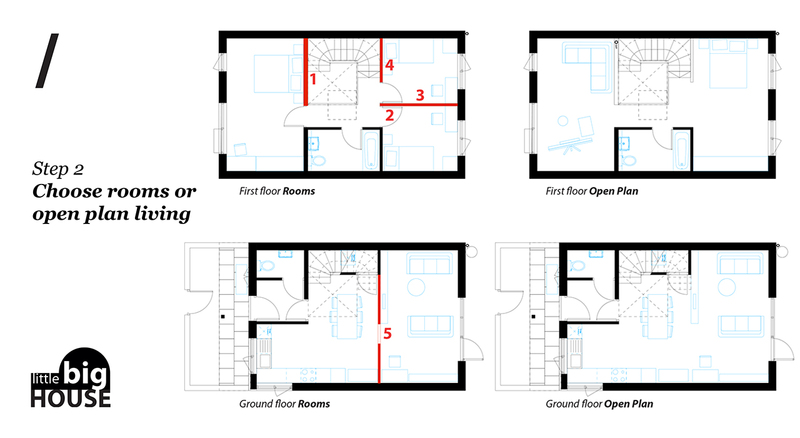 You can then choose the layout – rooms or open plan - and arrangement – live downstairs or up. 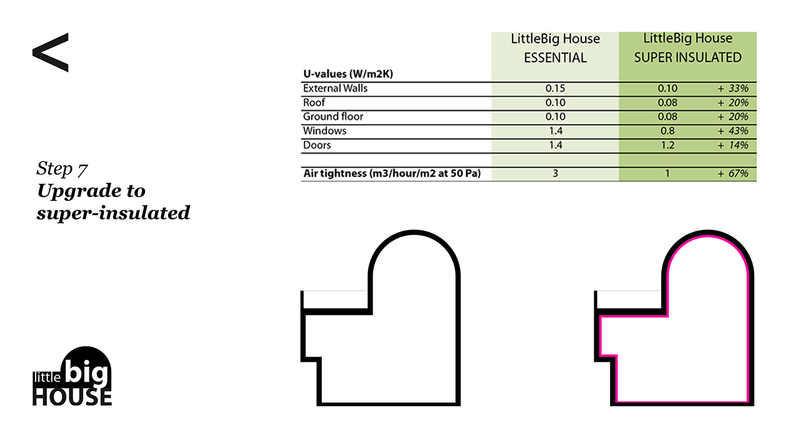 The ‘essential’ littleBIG house provides a generous home which you can further customise with add-ons and upgrades. 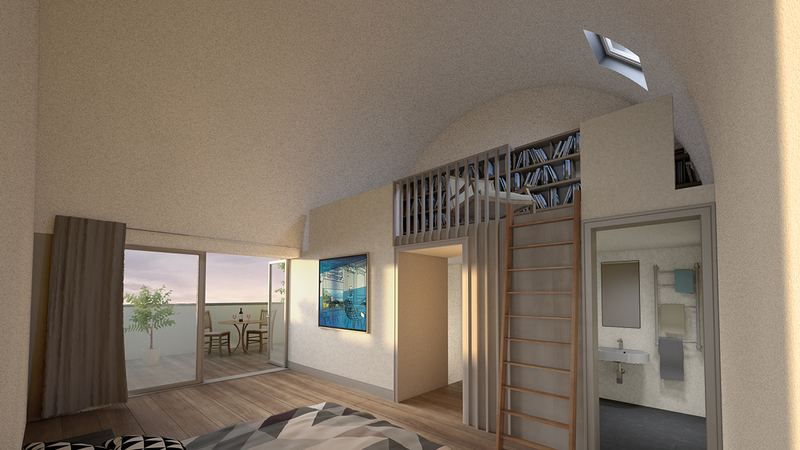 Add a loft space to create an extra bedroom, home office or living room with roof terrace. 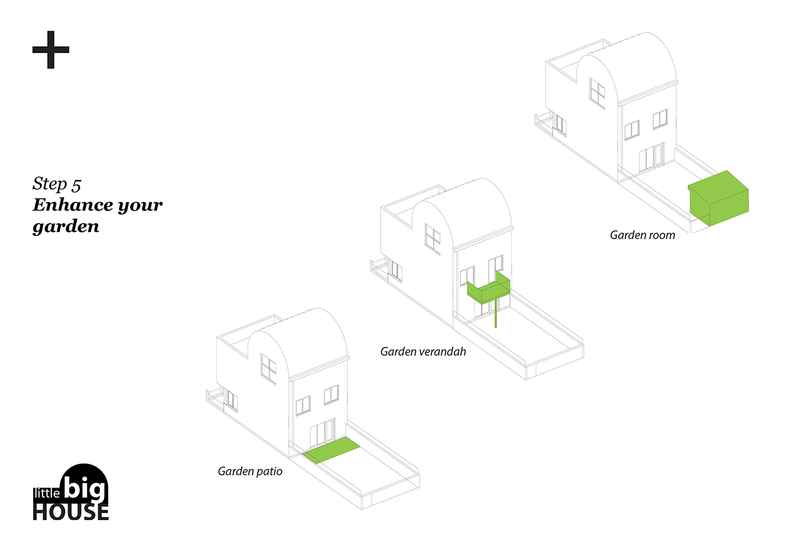 Enhance the garden by adding a patio, verandah or garden room. 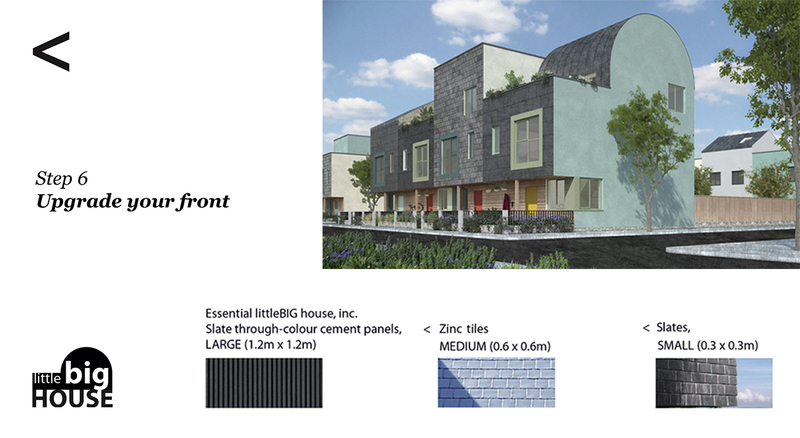 Upgrade the front of the house, choosing from a range of locally sourced materials. Reduce your energy use and bills by upgrading to superinsulation and adding photovoltaic panels to the roof. littleBIG house provides the opportunity to have an architect-designed home that you can customise. 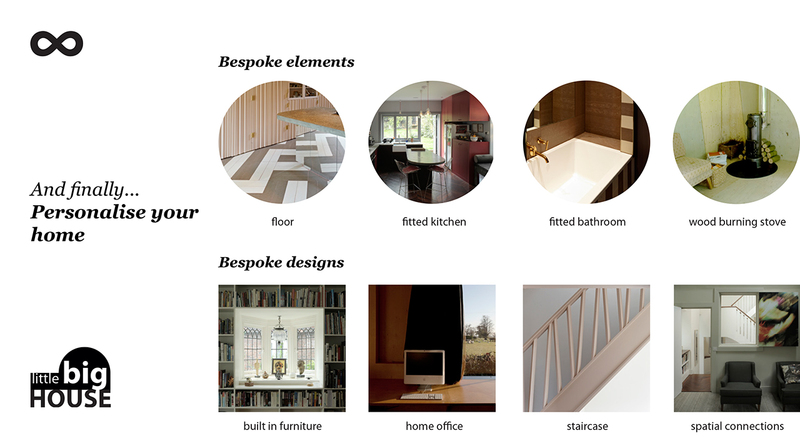 But it also provides you the opportunity to have any elements or spaces individually designed by us. Many elements in the littleBIG house are standard products. We can work with you to develop a brief and then create non-standard solutions to meet your specific needs, whether it’s a distinct patterned floor, a high quality kitchen or a new home office.